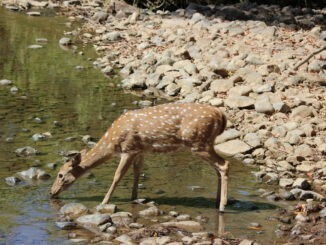 58 KMs away from Nagpur lies a Wildlife Safari Park that goes by the name of Umred Karhandla Wildlife Sanctuary. Although, the sanctuary was notified way back in 2012, it got inaugurated in 2013. The Wildlife Sanctuary tasted the first bite of widespread media and tourist attention when a famous male tiger ‘Jay‘ migrated all the way from Nagzira Wildlife Sanctuary to here. 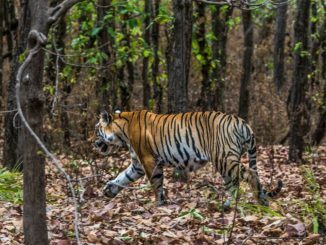 Tiger Jai travelled more than 130 km on foot to get here. Jai had been a favourite among wildlife researchers, photographers and forest department officials for long. 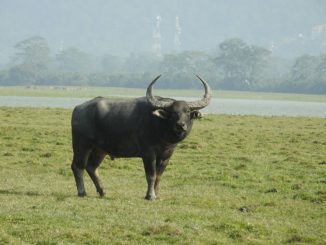 His migration turned their attention to Umred Karhandla Sanctuary and did much good. Jay is much admired as the biggest and most handsome tiger in India. He and his next generations draw a great influx of tourists from all over the world to Umred Karhandla Wildlife Sanctuary. The sanctuary is spread over Pauni tehsil in Bhandara district and Umred, Kuhi and Bhivapur Taluka of Nagpur district in Maharashtra. 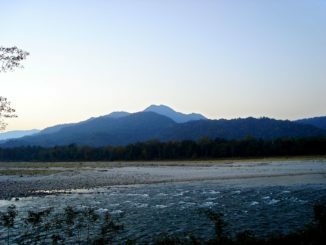 The Wainganga River and the Gose Khurd Dam lie along the northeast boundaries of the sanctuary while State Highway 9 and Bhiwapur Town bound the Southern side. A 10 km long range of 600-800 m high hills lie towards the North -Western front. 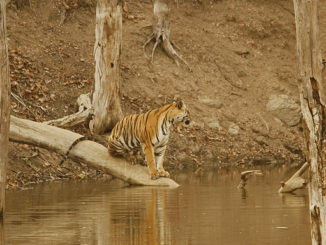 Tadoba Andhari Tiger Reserve and Nagzira Wildlife Sanctuary are situated nearby. 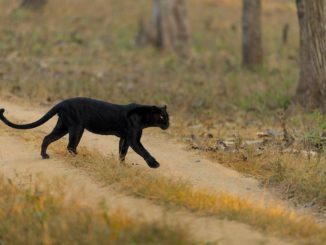 Pench Tiger Reserve lays 80 km to the North West. Its location between these reserves is advantageous in drawing visitors to the park. 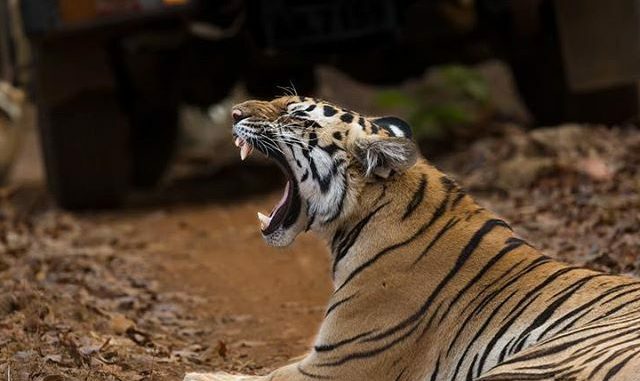 All acts as a connecting link between the Tadoba, Pench, Bor Wildlife Sanctuary and Nagzira tiger reserves and so, serves to reduce tourist pressure. This is even more essential in light of the fact that these are Eco-sensitive areas. Many well known Indian species live here. 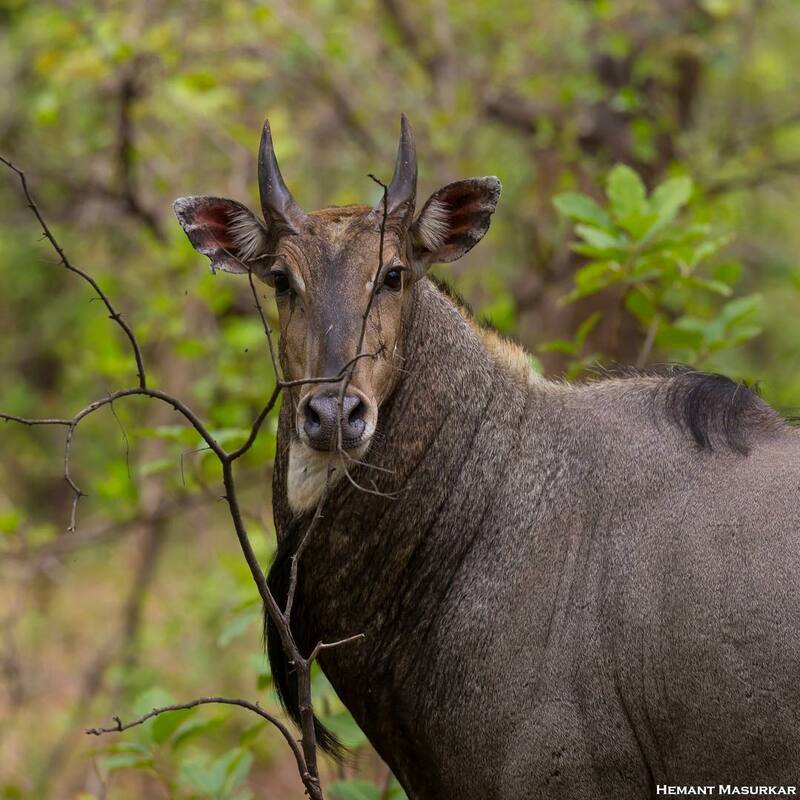 Such as – Bengal Tiger, Indian Leopard, Blue Bull, Barking Deer, Wild Boar, and Sloth Bear etc. 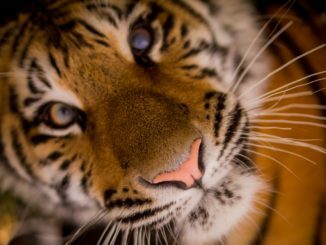 According to 2014 stats, a total of 17 big cats were present in the sanctuary. Out of these, 11 were tigers and 6 leopards. Umred Pauni Karhandla Wildlife Sanctuary is home to 90 species of birds belonging to 22 families of 12 different orders. This is inclusive of 10 migratory bird varieties and 7 endangered avifauna species. 19 different varieties of reptiles saunter around on the Sanctuary horizon. These belong to 9 different families of which 4 are endangered. Indian Cobra, Indian Rock Python, Monitor Lizard, Russel’s Viper are some of the names. Around 100 km of motorable road has been developed in Umred-Karhandla. However, tourists are allowed on only 44 km. Keeping in mind the capacity of the road, only 20 vehicles are permitted inside the Sanctuary at a time. 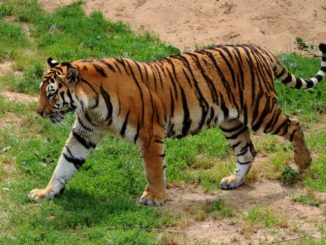 The administration allows a total of 40 vehicles in the Wildlife Park – 20 in the morning and 20 in the evening. Keeping in mind the capacity of the road, only 20 vehicles are permitted inside the Sanctuary at a time. 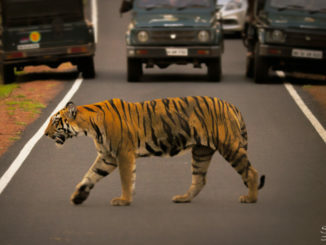 The administration allows a total of 40 vehicles in the Wildlife Park – 20 in morning and 20 in evening. Villagers from the nearby areas have been trained to serve as guides. This provides them employment and makes use of their local expertise in knowledge of the area. The entire sanctuary is divided into four zones, namely: Karhandla Zone, Gothangao Zone, Pullar Zone and Pauni Zone. Main entrance of the Sanctuary is through the Karhandla Gate, also known as the Umred Gate.